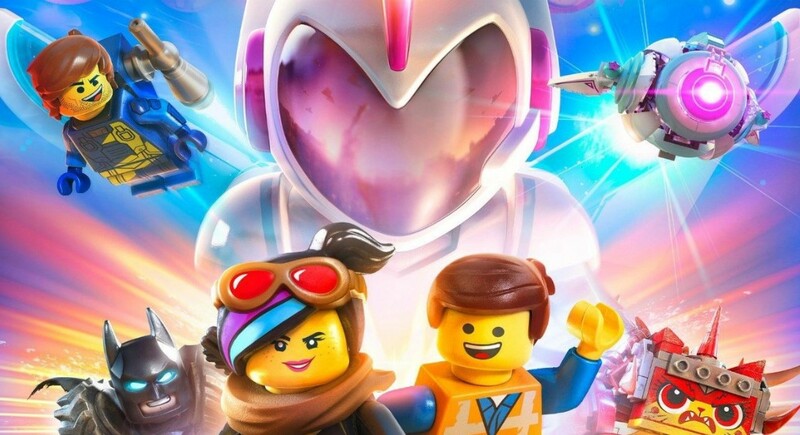 Well, it could or could not be awesome-r than the first for you, but one thing is for certain, The Lego Movie 2 has enough thrills and laughs to make for an enjoyable experience for the whole family. We certainly enjoyed ourselves and this movie comes in as highly recommended to give you and your family the gift of fun and laughter this season of hearts. Similar to Wreck it Ralph 2, I found that, at least in the screening that I took part in, it was the older members of the audience who had laughed more than the children. It really goes to show you that the brand of comedy the film has is well translated and understood across all ages. I was seated beside a family of 2 kids and while they were doing most of the laughing, I remember a couple of distinct instances where they were probably looking at me since I was laughing harder than they were. It’s fun to let go once in a while and watching The Lego Movie 2 is a great way to do just that. Also, like Wreck it Ralph 2, there’s really still this magic of seeing characters from different IP’s sharing scenes together and that is not lost here in the film. From the invading Duplo blocks to Batman (again), everything just comes together in this silly yet amusing sequel. If anything, I wished the movie came out sooner. With a couple of spinoffs in between, I could somewhat understand if the novelty aspect had worn off a bit but I honestly didn’t mind. I came into the movie with literally near zero memory of the first movie which turned out to be ok because I liked how Part 2 mostly did not require knowledge of the first to make itself enjoyable, perfect for the kids! Oh, and if you thought “Everything is Awesome!” was a catchy song that got stuck inside your head for days and weeks, wait until you hear… well, the title is “The Catchy Song” and it’s literally going to get stuck inside your head for quite some time after the movie! Overall, the movie experience for me could be summed up in 2 words – Unsurprisingly surprising! I had expected it to be a certain level of “good” considering how well the first movie performed but somehow Part 2 still managed to wow me in ways I did not expect. I’d have to say that in some aspects it was better than the first, or at least equal to, and the film does not expect you to have seen the first movie to enjoy this outing. It’s a funny and enjoyable watch with the whole family and don’t be shy to laugh louder than any of the kids watching, I’m sure I did on some occasions! If you’re looking for a great date movie to catch just in time for Valentine’s, then look no further than The Lego Movie 2, which opens in cinemas on February 13, only from Warner Bros. Pictures! Previous articleMiss Kobayashi’s Dragon Maid season 2 is confirmed! Kimi no Na wa (Your Name) gets an English-Dubbed Trailer!